Celebrate community radio and good times with KMUD at the station's annual Block Party, Saturday, May 26, from noon to 9 p.m. (free, donations gladly accepted). Join the folks at the KMUD studio for a lively day of music, food, drinks and dancing. Plus the station's biggest music sale. Organizers have dusted off stacks of vinyl and CD treasures waiting for you to rifle through and take home. There's plenty of live music, too. 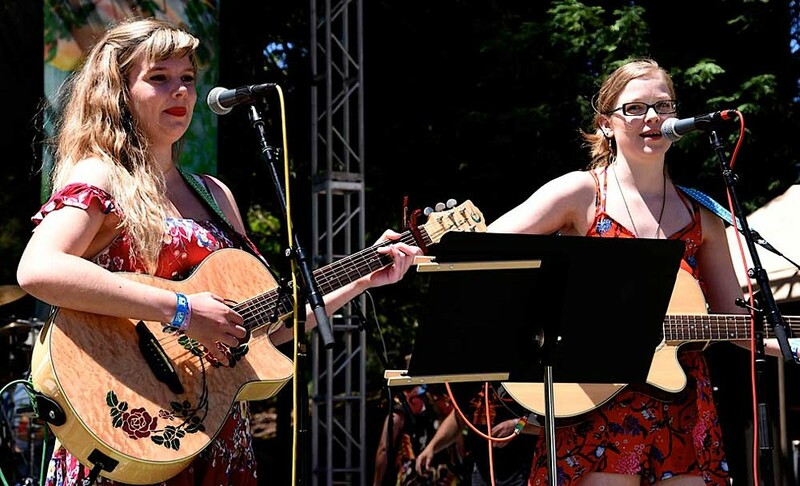 Enjoy a healthy dose of bluegrass, folk, rock and reggae performed by local musicians like Ari and Ruby, Savannah Rose, BeTH isBell, Thornbirds, Rebecca Wudarski, Sleepwalker, TransAm Mullet, That Captain and Back to the Hill (for the complete music lineup, visit www.kmud.org). And bring some extra cash for the variety of vendors on hand — arts and crafts, plants, food and drink. There's plenty to keep the kids happy at this family-friendly event, especially in the Kids Zone, with face painting, trash art (with Lolo Trash), hula hoop lessons, chalk drawing and more. Head to Redway, have a great time and help support listener-sponsored community radio. Proceeds go to operating the nonprofit's station.